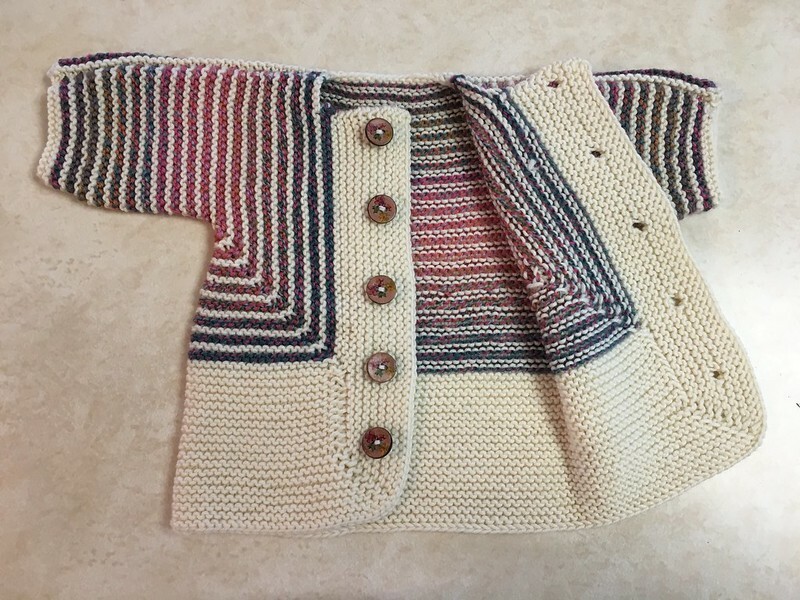 Not too long ago, I knit up a cute little package of clothing for baby Eloise (who recently celebrated her first half birthday). 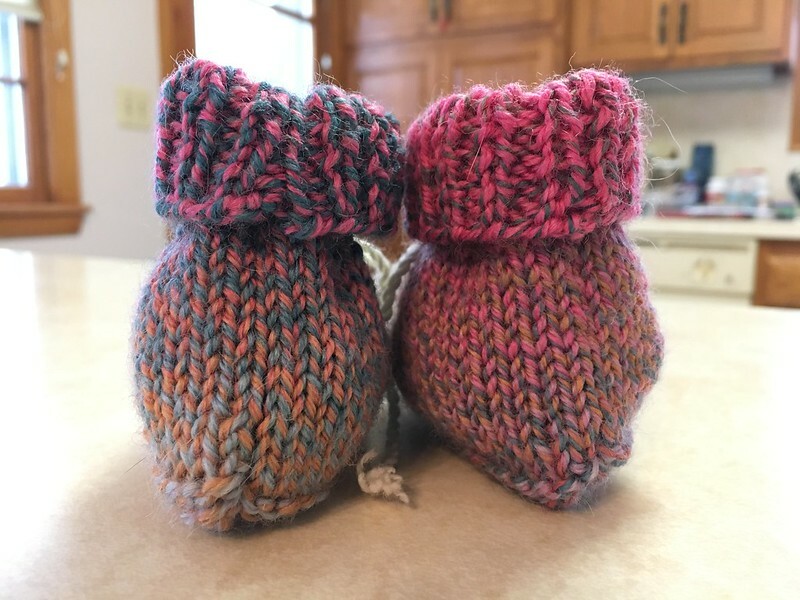 New mama, Aly, may have hinted during her pregnancy that she really wanted knit baby booties, so that gave me a great idea: I could finally try out two long-standing, reliable patterns! 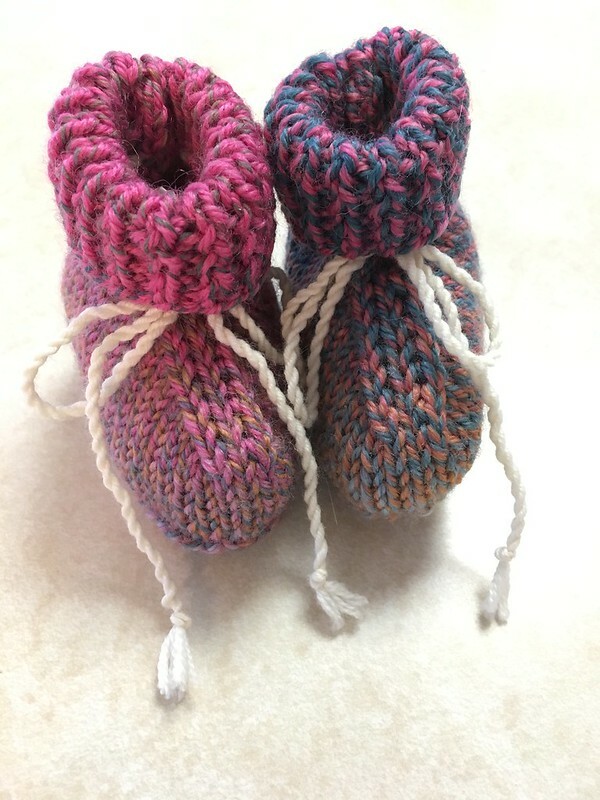 This baby bootie pattern from Churchmouse was a popular pattern with Needlework Unlimited knitters. Churchmouse patterns are typically easy to read, easy to follow, and produce classic knits (and crochets) with somewhat simple stitches. This pattern followed suit! 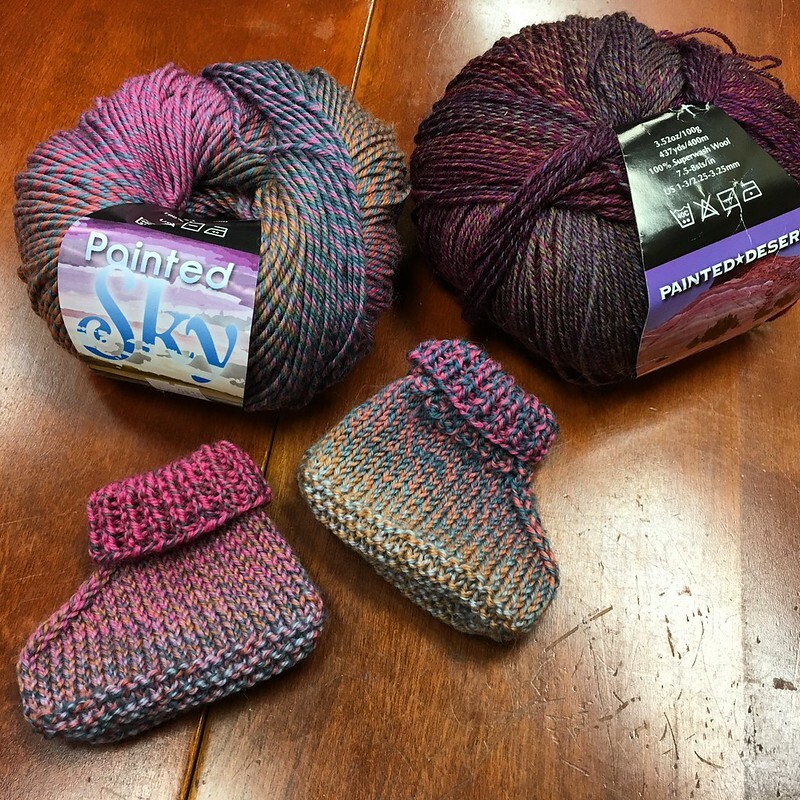 The Painted Sky gradient yarn produced two unique booties but I liked how they were kinda mismatched. Aren’t baby socks (all socks, really) hard enough? These booties have style! 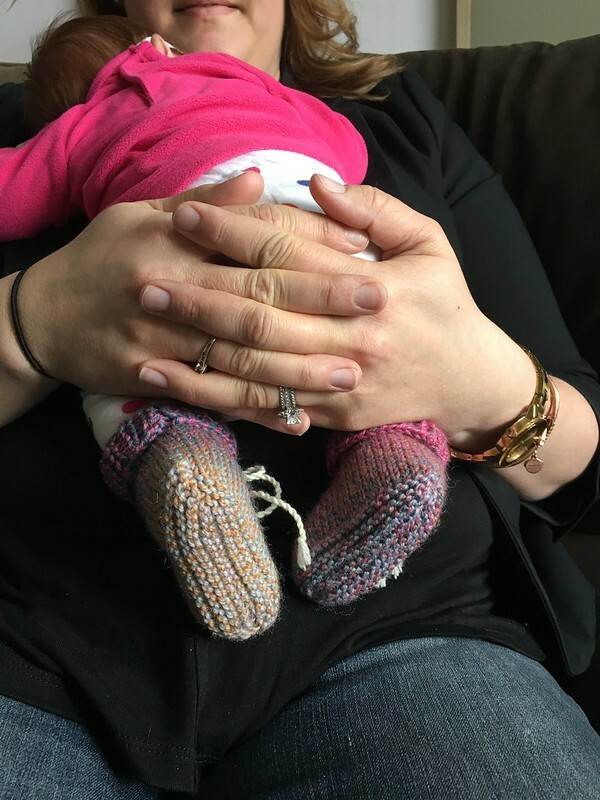 Miss Eloise even modeled the booties just a couple weeks after she was born. They turned out so cute! 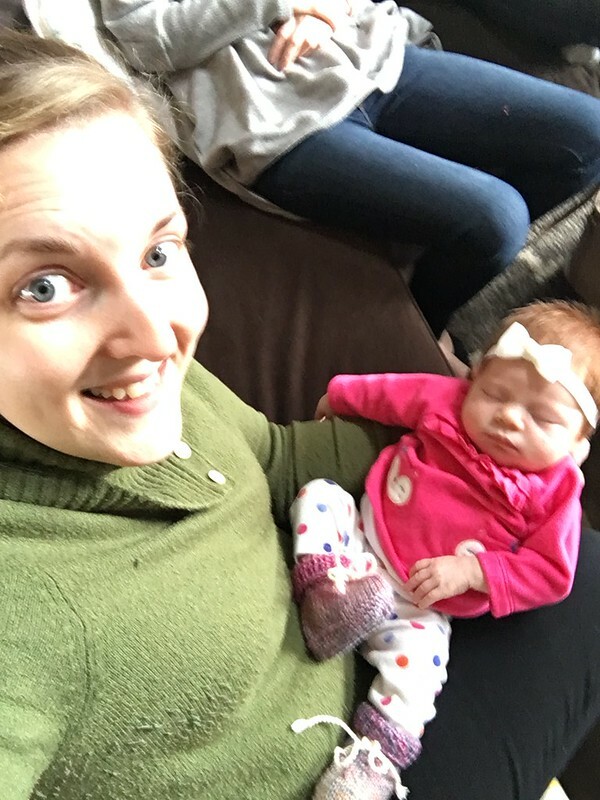 I paired the booties with the classic Baby Surprise jacket from Elizabeth Zimmerman. 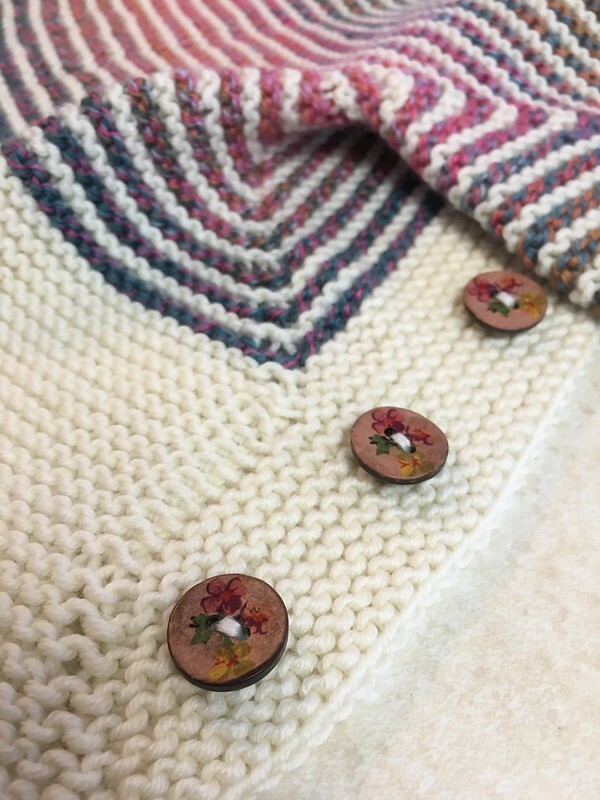 Is it true that you’re not a real knitter ’til you’ve tried this pattern? 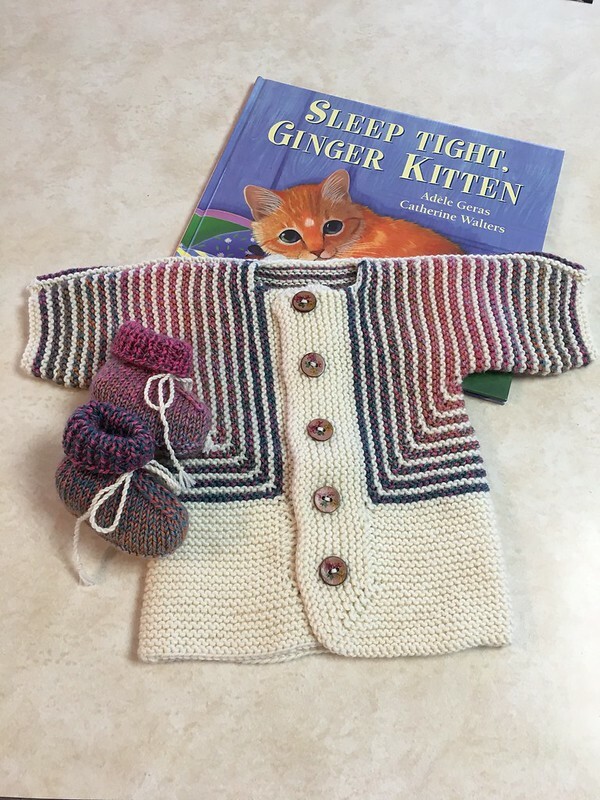 I’ve heard that a couple times… so I’m glad to finally be a “real” knitter! Thank goodness for the folks that have shared their notes and interpretations for this pattern though — there were some tough-to-follow spots! I muddled through each bit of decreasing and increasing, each turn and fold, and I think I would actually knit this again. 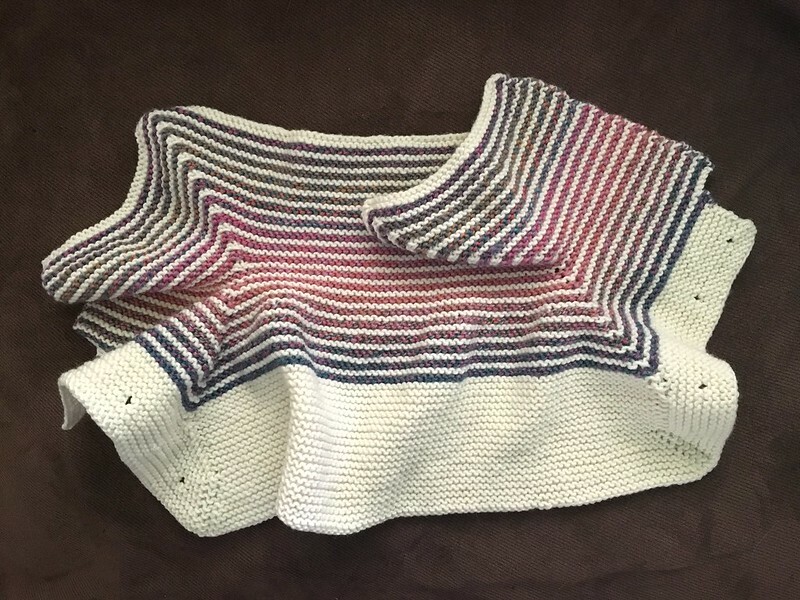 I really don’t like to knit the same things twice, but this was an engaging project and I can imagine other ways to make it unique; the Painted Sky yarn’s gradient certainly helped me see other possibilities for designing this garment. I even needed to enlist a few friends to help me pick the most perfect buttons. I had several contenders, but I think I ultimately chose the right ones. I used a worsted weight yarn, but I sized down my needles so I could aim for a DK-like gauge. I think I produced a 9–12 month size jacket. Hopefully I’ll get to see Eloise in this jacket some time this winter!